A one bowl upside down cake mixed by hand. 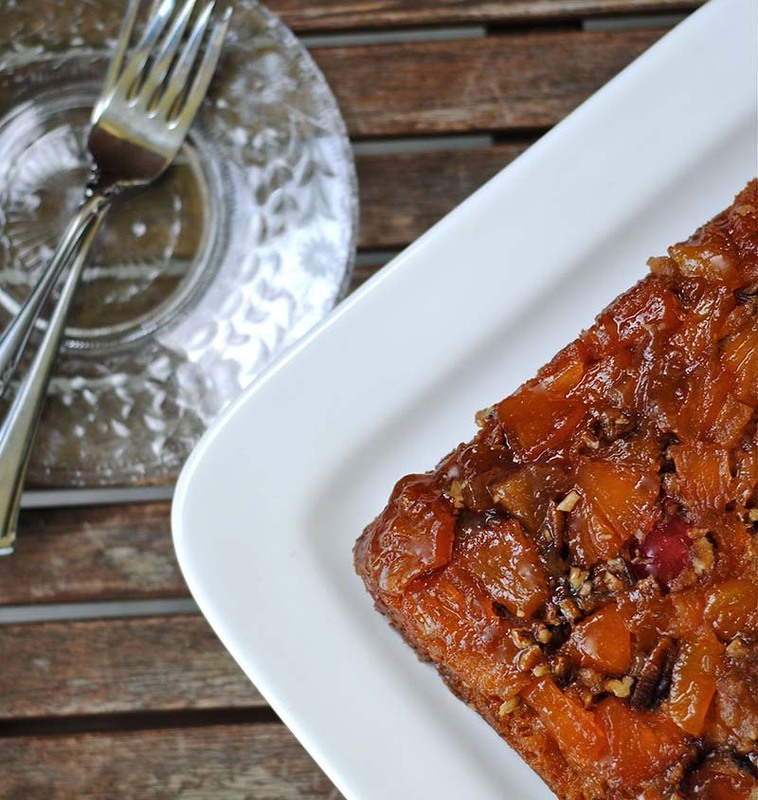 The Fruit Sauce nestles on top of a rich, moist cake and caramel topping. Melt butter in 8-inch square cake pan. Add brown sugar, Vintage Fruit and nuts; mix well. Spread evenly over pan. Set aside. In medium mixing bowl, combine remaining ingredients; mix well. Pour batter over topping in pan. Bake at 350°F for 40 to 45 minutes until golden brown. Cool 5 minutes; loosen edges with knife and invert onto serving plate. Serve warm with whipped cream or ice cream. Recipe featured at Fat Girl Trapped In A Skinny Body.